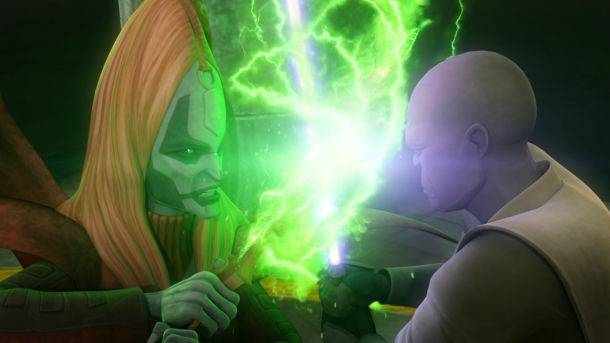 Continuing on in my Clone Wars Exploration Project, I am now going back to the beginning of “Star Wars: The Clone Wars”, starting with the theatrically-released movie. For this particular post, instead of discussing the entire movie, I wanted to explore specifically Anakin receiving his new padawan learner. Why does Obi-Wan Kenobi think Anakin Skywalker would “make a good teacher”? 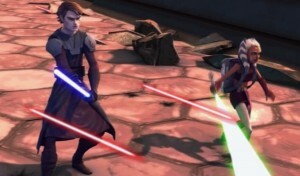 Since when (and how) did Anakin Skywalker get promoted to be a Jedi knight? With “Star Wars: Clone Wars”, we saw how/why Skywalker got promoted to become a Jedi knight; here, he already is one! One wonders why we don’t see Anakin becoming a Jedi knight in “Star Wars: The Clone Wars”. 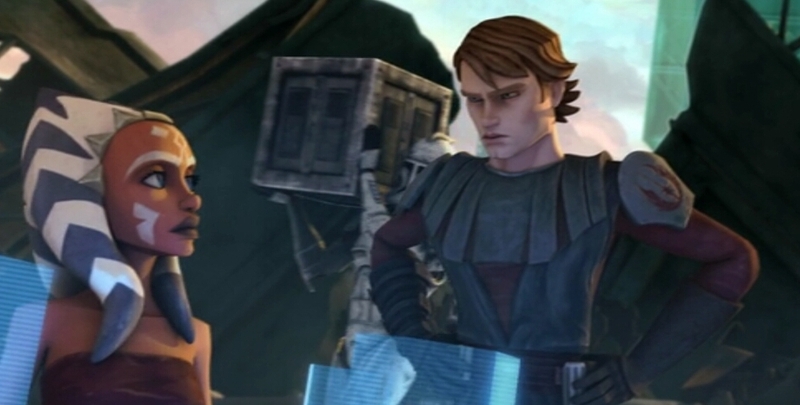 Throughout the first quarter of the movie, Anakin seems to be uncomfortable with having this – or any – padawan and expresses his displeasure with having her. It must be said, though, this movie (and the subsequent series) introduced us to a more sympathetic Anakin Skywalker than we’ve seen in “Star Wars, episode II: Attack of the Clones” or “Star Wars Clone Wars” (and certainly more so than “Star Wars, episode III: Revenge of the Sith”). This change in showing Skywalker’s character is a glaring continuity error to me, although it does make for more enjoyable (and less abrasive) viewing. Also, I had been wondering – as I was watching some of the later episodes of the series why Ahsoka Tano has the nickname of “Snips”. In their first private conversation, he says “Don’t get snippy with me”, resulting in this nickname. Who knew this nickname would stick with her for the rest of the series (even when she becomes less snippy towards him)? This provides Anakin with an idea how to sneak through the enemy lines and they eventually make their way to where they needed to go, although not without some issues, with them coming out on top. 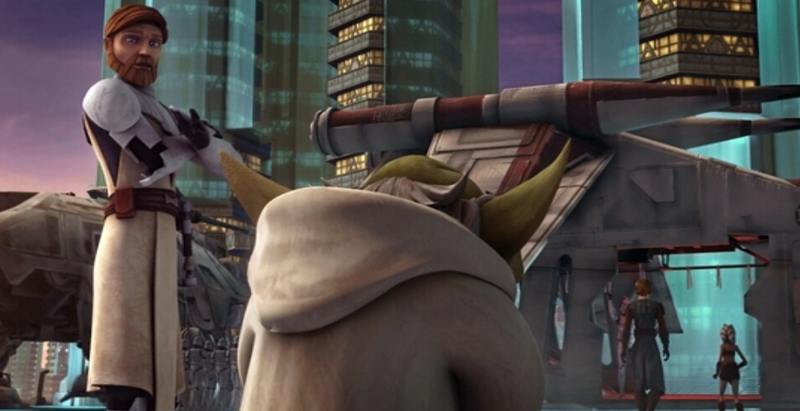 When Yoda arrives, he says to Anakin: “Trouble with your new padawan, I hear.” Yoda then says: “If not ready for a padawan you are, then, perhaps, Obi-Wan -“, when he is interrupted by Anakin: “Now, wait a minute. 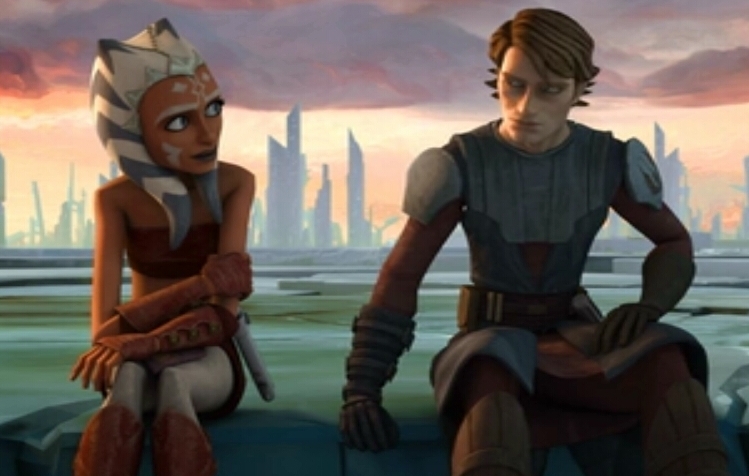 I admit Ahsoka’s a little rough around the edges, but with a great deal of training…and patience, she might amount to something.” So, he has finally warmed up not only to the idea of having a padawan, but specifically okay with having her as his padawan.